New: Dance Leader Training on November 14 - Details below. a senior Sufi teacher, dance mentor and leader from England, is a mystic in regular guy clothing who is repeatedly described as “understated.” He creates a warm atmosphere that invites a deepening into the heart. Born & reared in England, Murshid Tansen O’Donohoe came to the Sufi path after a long career as a university librarian and a devoted Yoga practitioner. Because of his love for music he was naturally drawn to the mysticism of sound and music, but equally his path has always involved the study of breath and the development of heart. As he says, "In 1987 I first experienced a form of spiritual dance, Dances of Universal Peace, which was literally a life changing experience. Immediately with my whole being I knew that the Dances of Universal Peace would become my heart’s path and my life’s work. All praise to God that this has proved to be the case." In speaking of the Sufi Path of the Heart, Tansen states, "This path of Spiritual Dance and Sufi Meditation is experiential, empowering, transformative, joyful and healing. Spiritual practices can be a valuable and effective tool to increase your capacity for living life fully and successfully while being at ease with yourself and others. The spiritual practices we offer are in essence food for your soul: they nourish your soul, give you vitality, inspire you with wisdom, and recharge you with power.….."
Come experience a revered Dance leader and mentor who has helped develop and expand the Dances of Universal Peace worldwide. 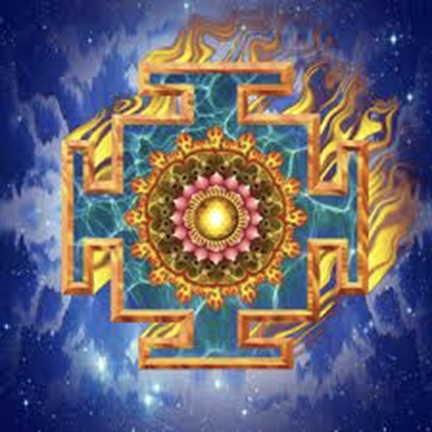 Interwoven into the retreat will be teachings on the myriad gateways into Pure Awareness offered in the Vigyana Bhairava Tantra, an ancient text from the Shiva tradition. These teachings use concentrations on sound, breath, heart, mind and body, inviting our souls to full and majestic expression in all aspects of life — a rich time not to be missed. Suggested Donation $195 includes lunch. We are happy to announce that Murshid Tansen O'Donohoe will be gracing Prescott for an additional day on Monday Nov. 14, from 10AM to 4PM, to provide Dance leader training and mentoring. He will offer a deepening into the transmission begun by Murshid Sufi Ahmed Murad Chisti, Samuel Lewis, the originator of the Dances of Universal Peace. Tansen is a revered Dance leader and mentor who has helped develop and expand the Dances of Universal Peace worldwide. This gathering will be held at the home of Barakat Carolynn Bryan, 2375 Mendiburo Way, Prescott, AZ; 928-717-2017. Bring your own sack lunch and be prepared to be charmed by this welcoming & skilled Dance leader and senior mentor. This one-day event may be attended by dance leaders whether or not they have taken part in the weekend retreat. Donation for the day's event is $50. We have secured a group rate for this retreat, for a total of 12 rooms. Each room, double occupancy, is $70/night plus tax. Three nights would be $235.26. If shared with another person, $117.64 each. Reservations must be made before Nov. 1st to obtain the group rate. Cancellation is allowed up to 48 hours before the first night- Thursday, Nov 10. There is also a free breakfast, and the accommodation is close to the retreat. The hotel is the Comfort Inn, 1290 White Spar Rd, Prescott, AZ 86303. Phone 928-778-5770. Ask for the “Dances of Universal Peace and Sufi Circle” discount. Information about other area motels and campgrounds is given in our Travel and Motel Information document. You may pay for your registration by check or by credit or debit card through Paypal. To pay by check fill out the registration form and mail it with your check (payable to Prescott Sufi Circle) to the address on the form. To pay by debit or credit card, use the Donate button below to make your payment via Paypal. Fill out the registration form and mail it to the address on the form.